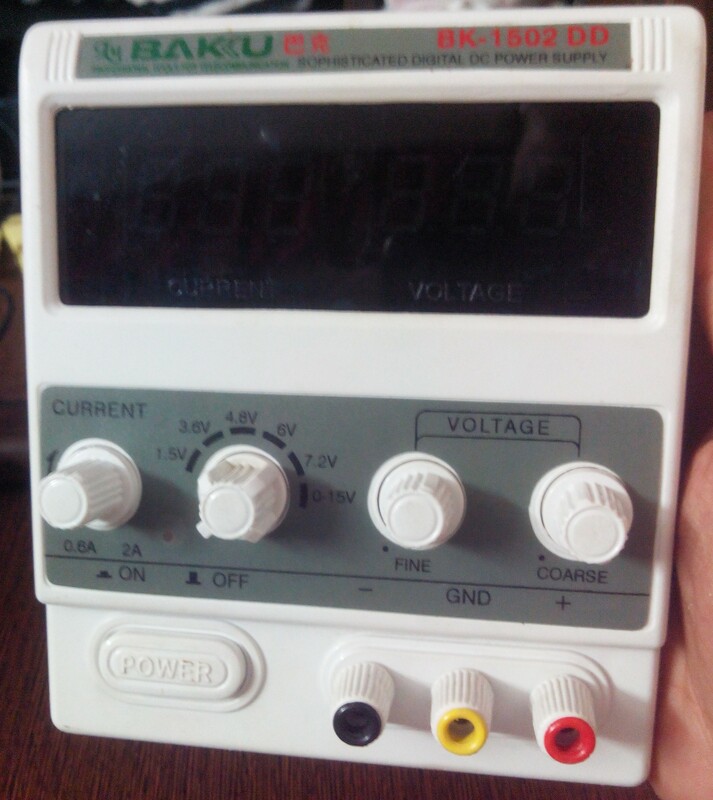 So I just brought a cheap bench power supply from a local market, it was dirt cheap picked one up for Rs 800 or 13 $ . I wasn’t hoping for any thing good in it. I was so curious about what one can pack inside a 13$ power supply that I too it apart before powering this up. As you can (barely) see there are two seven segment display one for current and another for current, well that a good start then, there were each coarse and fine adjustment which no one likes, with are more problematic in this power supply. 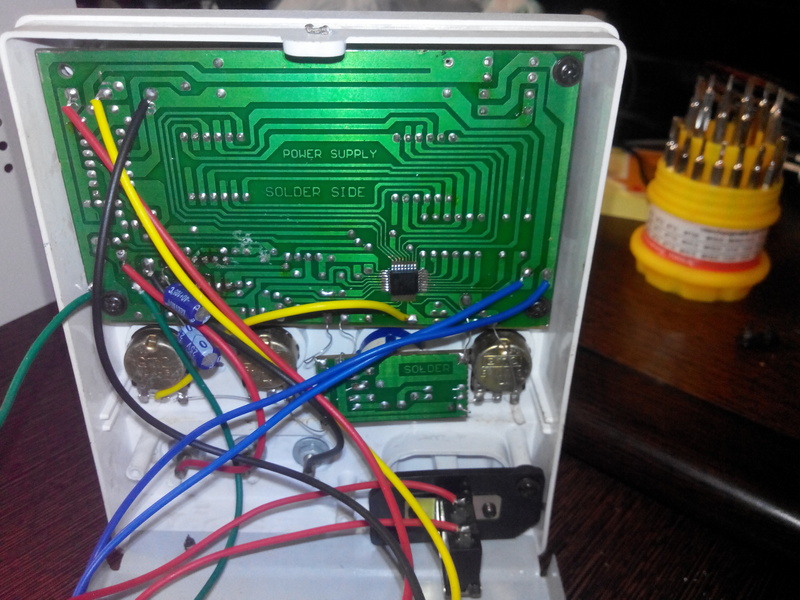 We can see a positive and negative terminals and also a mains ground terminal separately which normally indicates isolated power supply, but yeah its fake the wire coming from main has just a two pin connector and surly enough that there is nothing connected to that terminal its just to fool people. Here is the back of the LED the main PCB, PCB is well design one but connection to potentiometer are doggy. This is the primary switching transistor directly mounted to the back of the case with with a very thin insulating layer of plastic. Very poor wire connection to the transistor, well all of the wiring are crappy. 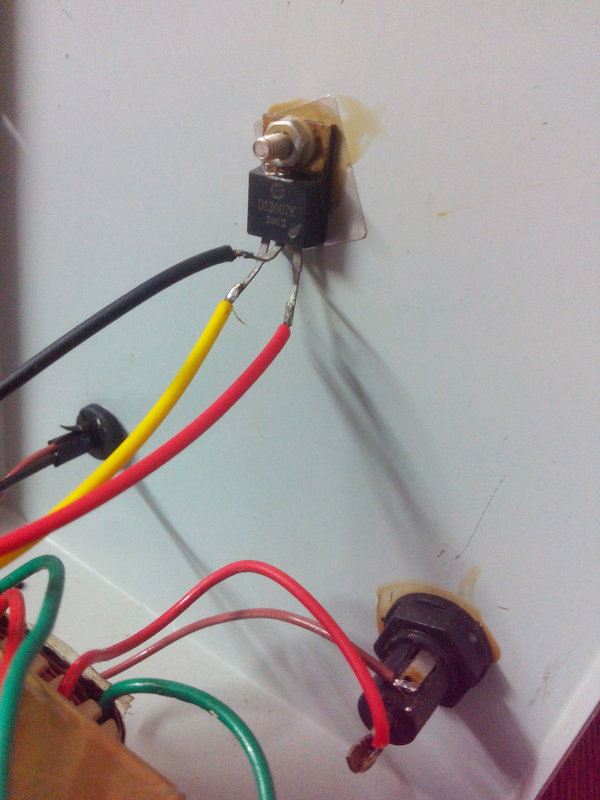 Best example for that is that the wires used for connecting the transistor are actually thicker then the mains wiring. At this price you anyway cannot expect anything more than this, but according to me you could make a better product that this at the same price by using SMD components and standardised SMPS IC’s which actually are available. Its not worth even 13$, its basically cost for the case. Well now I will be using this power supply case for making a better one, its always awesome to make your own anyway.